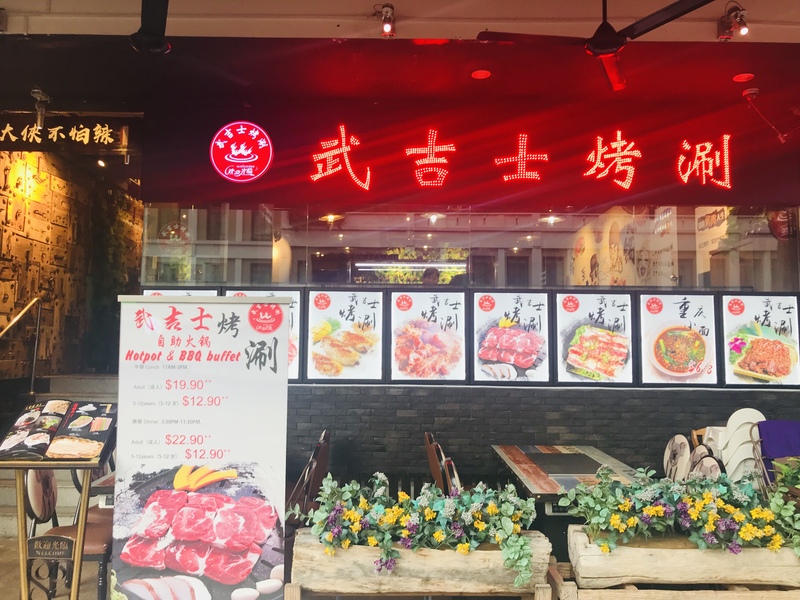 Bugis Hotpot & BBQ is the sister restaurant of the popular Jiu Gong Ge Hot Pot (九宫格火锅). 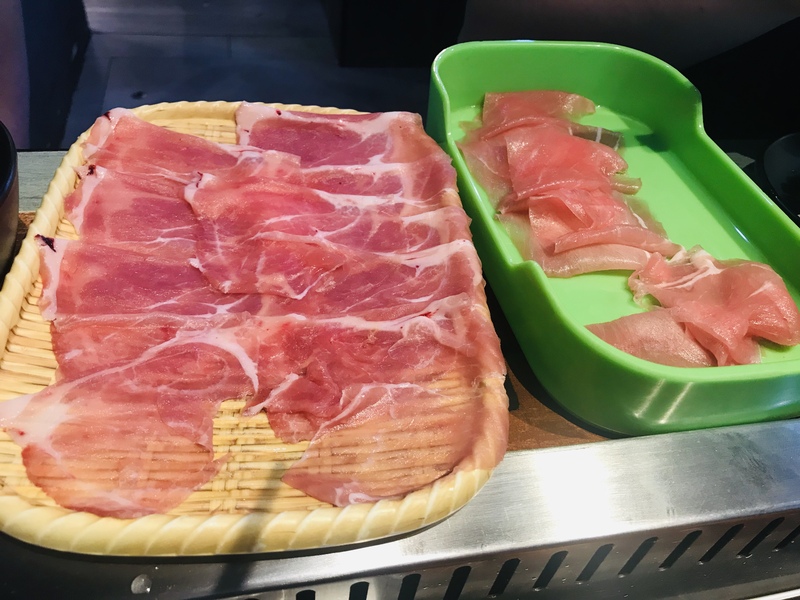 Bugis Hotpot & BBQ is currently offering a “4th person dines for free” promotion, so we decided to check it out. 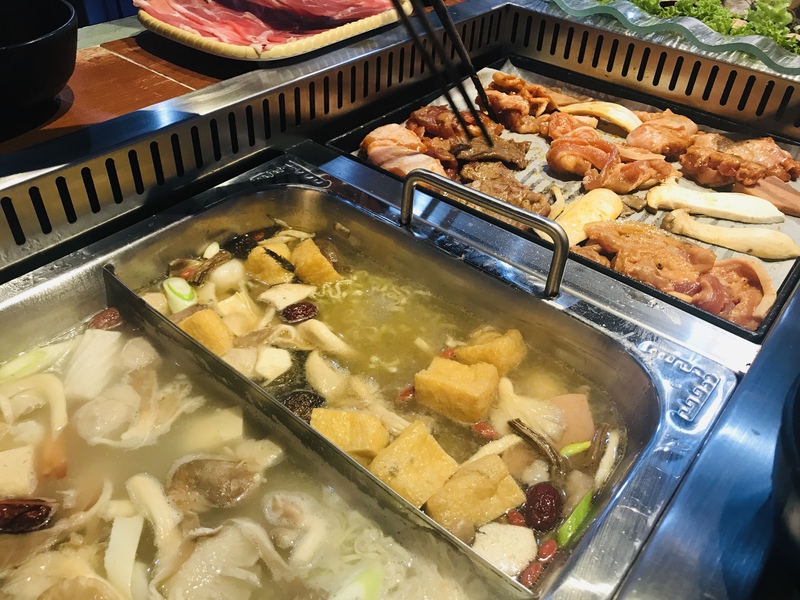 Located at the ground floor of Bugis Cube behind the bus stop opposite Bugis Junction, Bugis BBQ & Hotpot Buffet should be pretty easy to find. 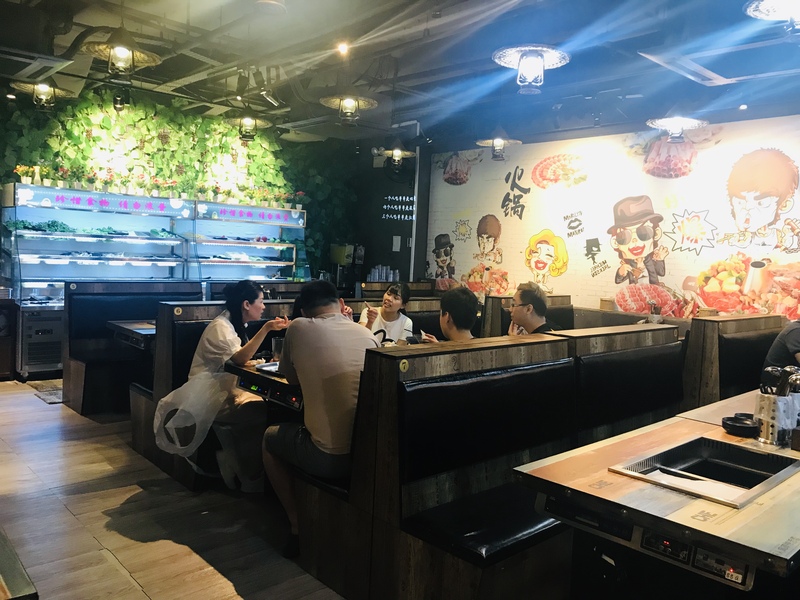 The spacious arrangement of the long tables allows 6-8 people to seat together, making it the perfect place for large group gatherings. 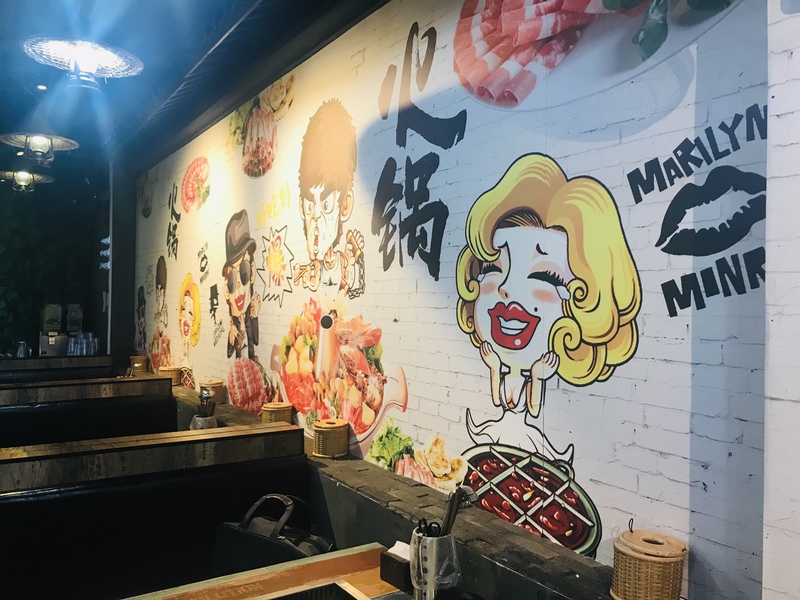 Most of the popular barbecue and hotpot ingredients can be found on these two shelves located at the back of the restaurant. 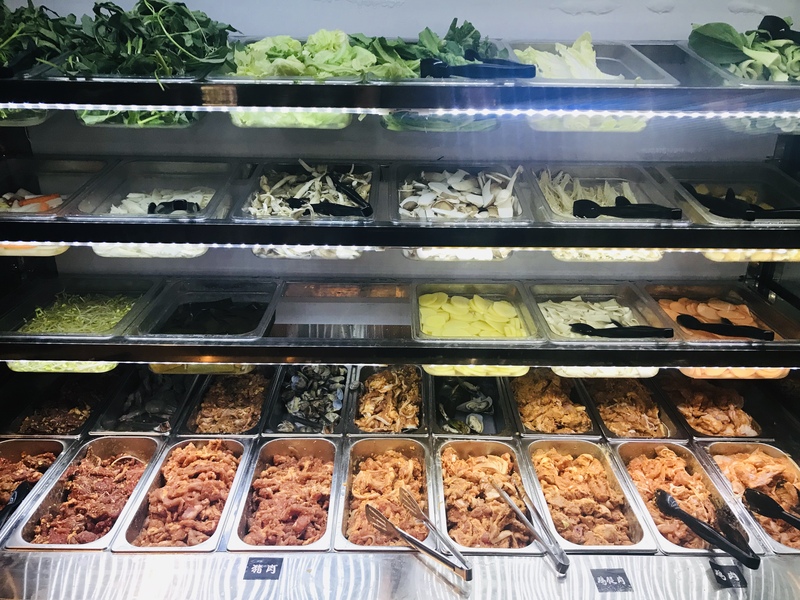 The shelf on the left contains various vegetables, mushrooms and meats. The shelf on the right contains various balls, noodles and fresh fruits. There are 6 soup bases to choose from: Spicy/Wild Mushroom/Tomato/Chicken Soup/The Pig Bone/Dongyan. 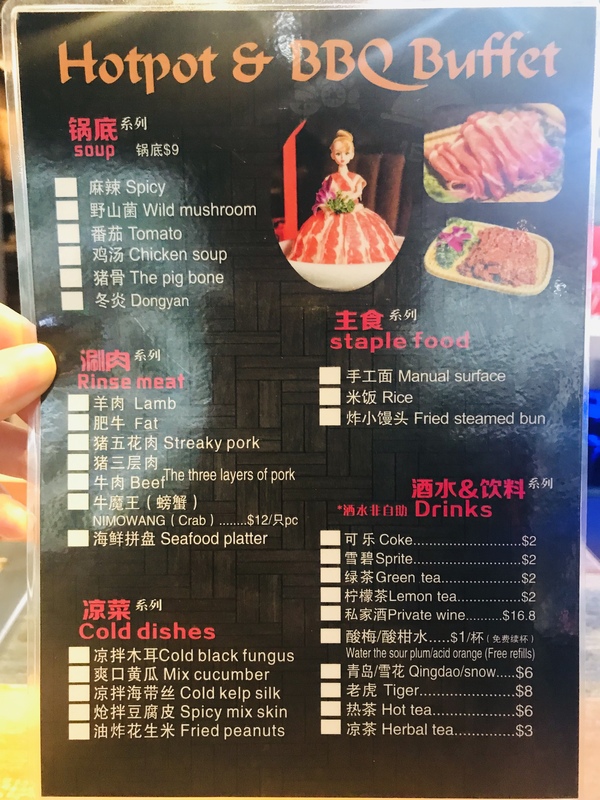 You can also order additional meats, cold dishes, staple food such as rice and noodles and drinks from this menu. 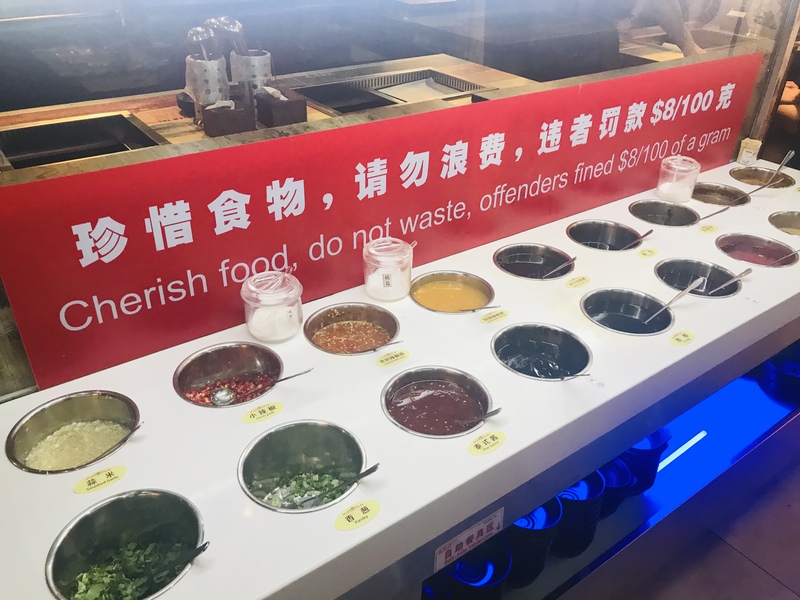 You can make your own dipping sauce concoction from the 16 sauces available. 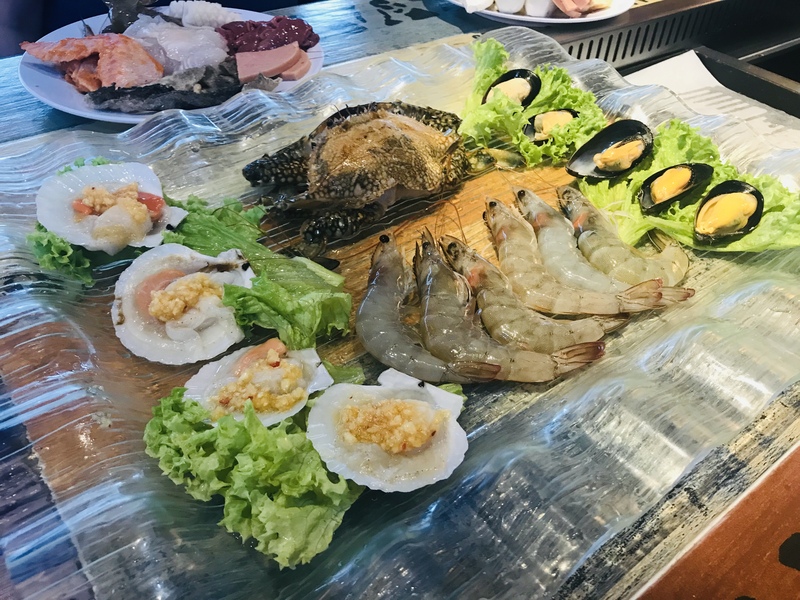 The Seafood Platter comes with 5 big prawns, 4 pieces of scallops with garlic sauce, 5 mussels and a flower crab. The Lamb and Streaky Pork are not as thinly-sliced as I would have liked but at least they are fresh. 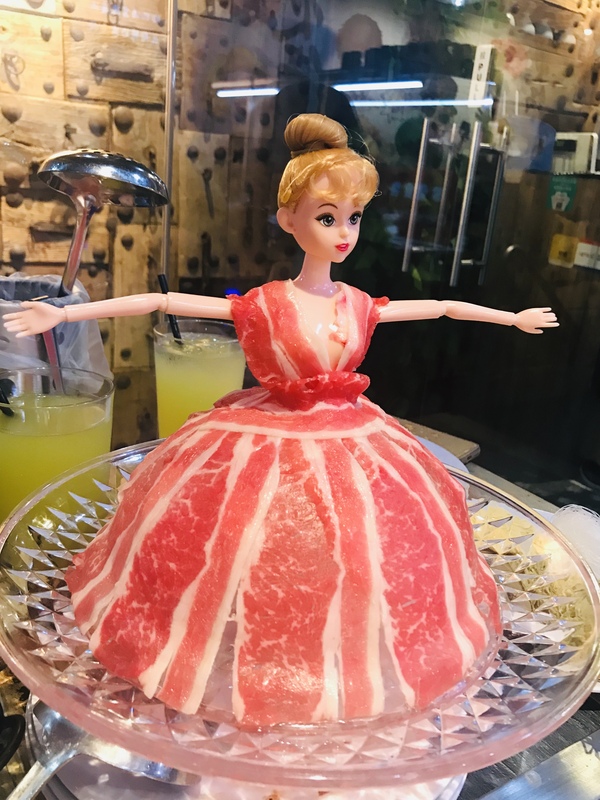 The Fat Cow beef slices are draped on a Barbie figurine like a dress, which is really cute. 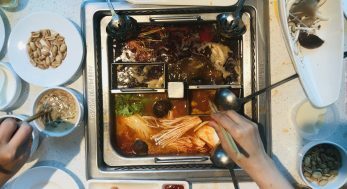 $18.80++ at lunch and $22.90++ during dinner is pretty good price for both barbecue and hotpot. 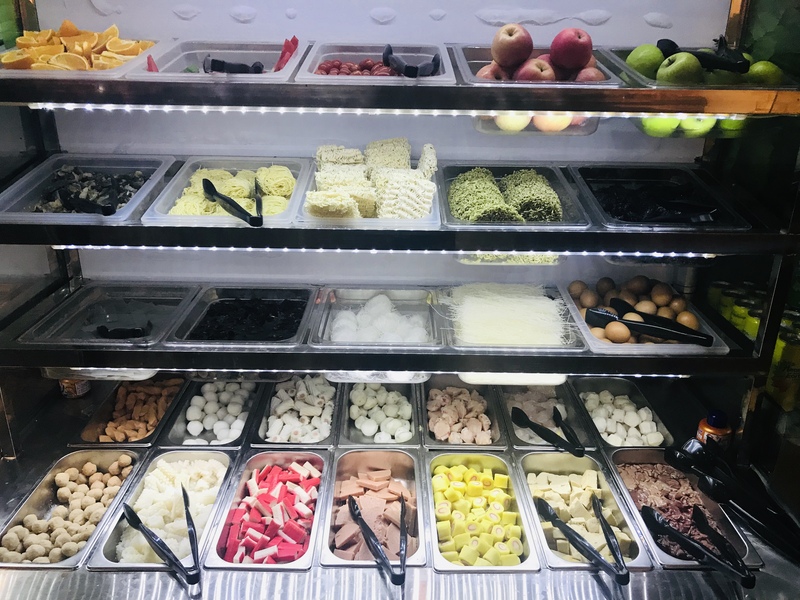 The ingredients are fresh and plentiful and there is space for large groups of people.